If it wasn’t for the quick business mind of Martin Bellamy, CEO at Salamanca Group, OneOcean Port Vell might never have happened. And, by the same logic, the many superyachts I spotted on my visit – Lady Christine, Eminence, Madame Gu, Ace – would have been berthed somewhere else in the Med. What a shame that would have been as what I found in Barcelona is surely one of the most forward-thinking marinas in the world. Fast forward just a few years and that’s exactly what has been done. Yachts benefit from a private members’ club, restaurant and tapas bar on site as well as The Gallery, which is complete with gym, wellness centre and business hub. I was lucky enough to dine at the restaurant on my trip – alongside general manager Paul Cook ­– and can vouch for its quality. Beyond the facilities within the port, the marina has also added to the attractions of Barceloneta, the neighbouring district. 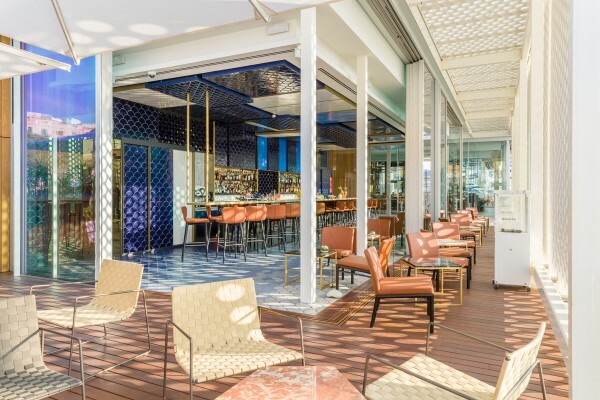 The W Hotel, a gleaming sail of a building on the edge of the water, is the best-performing property of its portfolio in Europe, if rumours are to be believed. There are also fantastic tapas restaurants, bars, designer shops and world-class museums and architecture right on the doorstep. The marina itself benefits from having refit yard MB’92 next door, making it something of a one-stop shop for superyachts, not to mention a home port for many. 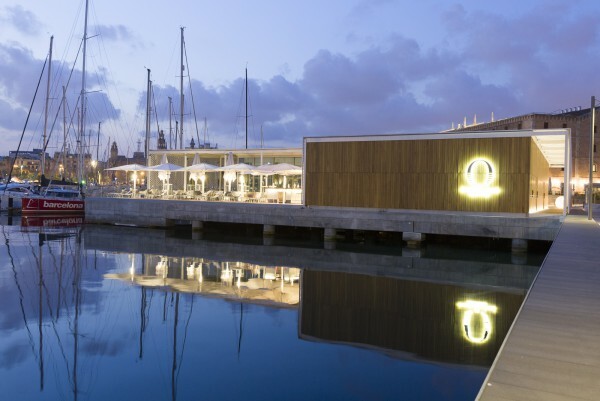 Bellamy agrees: “We thought it was a very powerful adjunct to what we have at Port Vell.” In fact, the Barcelona Nautical Cluster – a not-for-profit organisation that draws together all related businesses – was established in 2013 with OneOcean and MB’92 as founding members. “There are 305 companies related to the marine sector in Barcelona. That constitutes the largest nautical cluster in Europe, possibly anywhere in the world, and it has been central to rejuvenating the local economy,” adds Bellamy. On my visit, the marina was busy building eight new berths that will be ready by August and suitable for boats up to 80m. They address what Bellamy sees as a bigger berthing issue worldwide. “There is a real shortage of big berths in the Med, especially in highly desirable places,” he explains. We feel that it’s good for [owners] to have a home berth and in time the only way they will be able to control that is by owning the berth. The market is growing at such a rate that demand will outstrip supply unless you’re prepared to put your yacht in a fairly undesirable place.” The market seems to agree, with the marina running at 80 per cent capacity this winter, and several berths sold, ranging from 25m to 70m. Another benefit of the marina? It has just been granted a permit to extend the TPA tax-free benefit scheme to owners berthed at the marina during their stay. 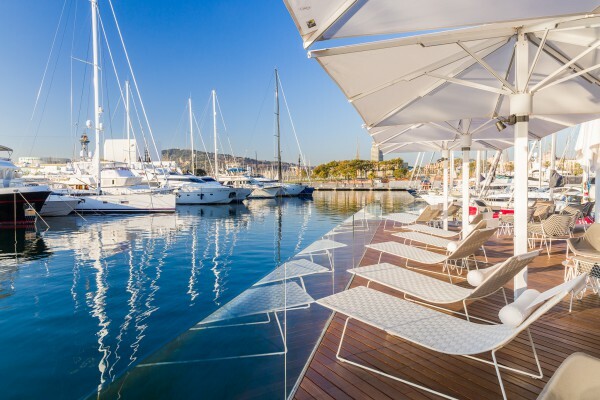 Traditionally, the scheme was applicable only for yachts in shipyards but OneOcean Port Vell has become one of just a handful of European marinas where the VAT exemption can be granted, offering a substantial advantage for owners undertaking winter works. 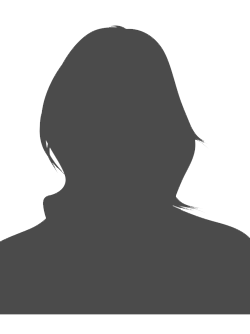 The whole package is an appealing one, and with any luck it’s a formula that might be replicated worldwide. “It’s exceeded our expectations in terms of the broader opportunity that exists in the industry,” says Bellamy. “The potential is huge – we want to grow within the industry and do other exciting things, and we hadn’t foreseen that when we bought into Barcelona.” For owners, that must be an exciting prospect.